Samsung has ‘downgraded’ its upgrade policy for the Galaxy A5 from 2016. The phone will now get quarterly security updates instead of monthly patches. This may not sound like much, but it could spell very good news for years and devices to come. 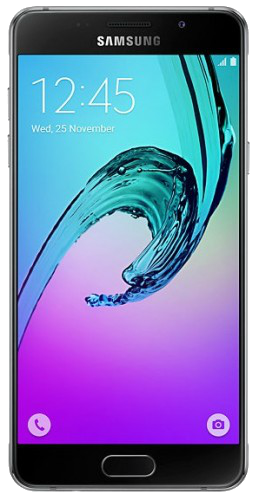 Just over three years ago, Samsung released the Galaxy A5 (2016). Since then, the phone received pretty much every single monthly update patch released by Google and Samsung. Now, as GalaxyClub points out, Samsung has removed it from its list of devices that get monthly security patches, and placed it between its quarterly updated phones. At first glance, this seems like bad news for everybody still using this phone. The opposite is, in fact, true. In the past years, Samsung has always removed monthly updated devices from its official list after the device had been on the market for three years. The keyword here is ‘removed’ – entirely. Though devices usually received a couple of rogue updates afterwards, no regularity was ever promised. The A5’s downgrade, therefore, is actually an upgrade from being entirely removed from Samsung’s official update policy. To put the above in more straightforward terms: this is the first time Samsung is kind-of-promising continued, regular security updates for a device after the three year period of monthly updates has passed. Last year, we saw the removal of the Galaxy S6 from Samsung’s update list three years after that device’s market launch. Since then, it did receive the odd update or two, but nothing remotely regular, let alone quarterly. Improved update policy, or a fluke? Now, one swallow does not make a summer. The real test here will come next month when the Galaxy S7 hits its three-year birthday. Will it be simply removed, like the Galaxy S6, or only downgraded with the promise of continuing, quarterly security patches? Time will have to tell, as Samsung remains generally reluctant to make any other official promises of updates beyond its stated two-year support period. Still, and despite Samsung’s often-bemoaned reputation, the company is steadily improving updates. Recently we saw the Galaxy J7 from 2016 receive its second major OS upgrade, and all J series device from 2017 will receive Android Pie. Perhaps now we are seeing the first glimpse of a further improved update policy for flagship devices as well. A7 (2018) and A9 (2018) to get quarterly updates instead of monthly?? they were from last year, why? Because less is more! Which is a good thing! I said it many times. A5 2016 is best updated device from Samung. It received every month patch since release. It is better updated than flagships. Wow, my A7 2016 no longer in list, i can stop checking update from now. SoC capabilities must not be a reason for not upgrading android. There will be many devices less powerful than S7 that will run newer android than P. And, software optimization can’t be neglected if the SoC capabilities leave room for that. How exactly the 8895 is a “massively” better than the 8890? But NoteFE will receive Pie. Though it is ridiculous, that S7 won’t get it, as it’s more or less the same hardware.